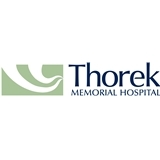 Thorek Memorial Hospital (Chicago) - Book Appointment Online! This is one of the best experiences with a doctor I have ever had! The office is beautiful, clean and comfortable with easy street parking. The receptionist and nurse were both very kind and helpful. I was seen right on time, which I have never experienced EVER. And, most importantly, Dr. Gordon was amazing. She was very understanding and I felt that my concerns were heard and taken seriously. Going to the doctor is usually stressful and time consuming. This experience was neither. I am a first time patient and I feel happy to have found a doctor that I don't dread seeing. Thank you, Dr. Gordon and staff! From coming from southern IL I never imagined I would experience such a level of "home town" feel care. He and his staff are AMAZING! For once I dont dread seeing the doctor.